All earrings come with silver colored surgical steel ear wires for those sensitive ears!​ These are made with Rose wood and will not break easily. They are nice and sturdy! ​All designed are created by Amy's Art Wear and come in a box. 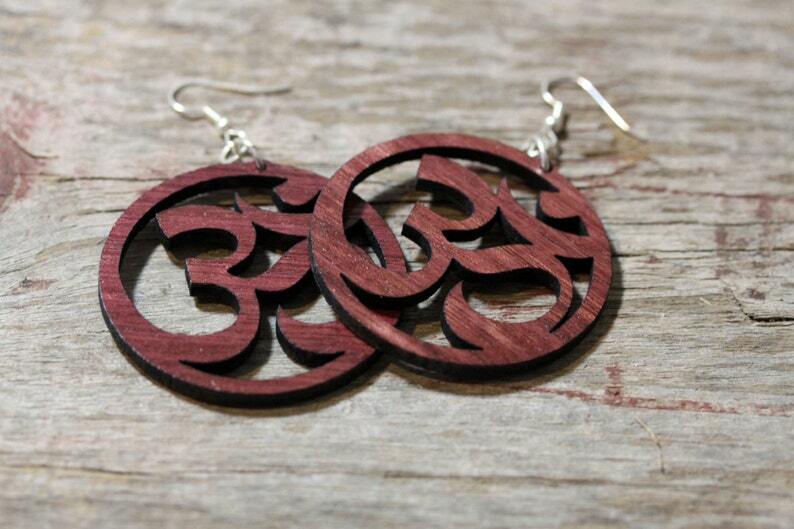 This listing is for the larger Om pair.